3 This judgment was carried up in appeal by the assessee before the Hon’ble Supreme Court by filing a petition for special leave to appeal (Petition(s) for Special Leave to Appeal (c) … cc No (s) 22566-22567/2016). On 9th January, 2017, the Hon’ble Supreme Court was pleased to dismiss the special leave petition finding no reason to entertain the same. A copy of the order of the Hon’ble Supreme Court has been made available to us by Mr. Nizamuddin, learned counsel representing the Revenue. 4. In that judgment, the Coordinate Bench had referred to particulars of the assessee’s account in detail. Reference was made specifically to its subsisting share capital, quantum rise in share capital and reserve and surplus on issue of share capital with high premium during the relevant previous year. In this judgment, we do not consider it necessary either to reproduce the particulars of accounts of individual assessees or to refer to the manner in which the capital receipts were realised. The factual background of these cases are more or less similar to the facts involved in the case of Rajmandir Estates Private Ltd. (supra), and learned counsel for the parties have also confined their submissions to points of law only. The capital receipts in respect of which inquires have been ordered by the C.I.T. have similar features, being fresh share capital issued at high premium. Mr. Majumdar, however, drew his strength to urge the point that it was only after the aforesaid amendments such inquiries would have relevance. He sought to take cue from the observation of the Coordinate Bench that the question as to whether proviso to Section 68 of Income Tax Act is retrospective in nature or not was being kept open. 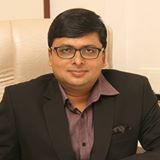 He also cited the judgment of the Hon’ble Supreme Court in the case of Sneh Vs. Commissioner of Customs [(2006)7 SCC 714] to contend that a judgment is the authority on the proposition which it decides and not what can logically be deduced from, and sought to distinguish the case of Rajmandir Estates Pvt. Ltd. (supra) on that basis. Submission of the appellants is that the points of law urged in these appeals were not raised before the Coordinate Bench. Main argument of the appellants before us has been that the amendment to Section 68 does not have retrospective operation. According to the appellants, if it is found that the amended provisions of Section 68 of the Act do not have retrospective operation, then having regard to what has been held by the Tribunal in the case of Subhalakshmi Vanija Pvt. Ltd. (supra), the inquiry, as directed would be impermissible. 5. We have already observed that the judgment in the case of Rajmandir Estates Private Ltd. (supra) was delivered considering the unamended provision of Section 68 of the Act. In the case of the assessees before us, there is no differing feature so far as applicability of the said statutory provision is concerned, even though the Tribunal in Subhalakshmi Vanijya Pvt. Ltd. (supra) had held that the provisos to Section 68 of the Act are retrospective in their operation, and delivered the decision against the assessee in that case that reasoning. In the appeal of Rajmandir Estates Private Ltd. (supra), the Coordinate Bench did not consider it necessary to examine the question of retroactivity of the aforesaid provision. The Coordinate Bench found the order of the C.I.T. to be valid examining the order applying the unamended provision of Section 68 of the Act only. We do not find any other distinguishing element in these appeals which would require addressing the question as to whether the amendment to Section 68 of the Act was retrospective in operation or not. Neither do we need to address the issue that if the inquiries, as directed, revealed that share capital infused were actually unaccounted money, whether the same could be taxed in accordance with Section 56(2) (vii b) or not. The ratio of the Constitution Bench decision of the Hon’ble Supreme Court in the case of Vedika Township Private Ltd. (supra) does not apply in the legal context in which we are deciding these appeals. It is not necessary in these appeals to deal with the question of retroactivity of the aforesaid provisions, for which that authority was cited. 6. Arguments in all these appeals have been advanced in the same line, and for that reason we have not recorded in this judgment the submissions made individually in each appeal. Another decision of a Coordinate Bench in ITA No. 723 of 2008 in the case of Commissioner of Income Tax, Central II, Kolkata Vs. Shyam Sel Ltd. decided on 28th June 2016 was referred to on behalf of the appellants. This decision was cited to contend that the assessee cannot be asked to discharge the onus of proving the genuineness of transaction relating to the source of its source of share application. But in the decision of Rajmandir Estate Pvt. Ltd. (supra), the Coordinate Bench had directly addressed this issue and observed that source of source can be relevant inquiry.